In accordance with Federal Law all Airsoft replica firearms have a safety orange muzzle tip. Any attempt to remove the orange safety tip is a violation of Federal Law. Have a blast with the CYMA Pistol Grip Airsoft Shotgun from Tactical Crusader. This airsoft gun features realistic pump action as well as a short pistol grip. Have a blast with the CYMA Pistol Grip Airsoft Shotgun from Tactical Crusader . 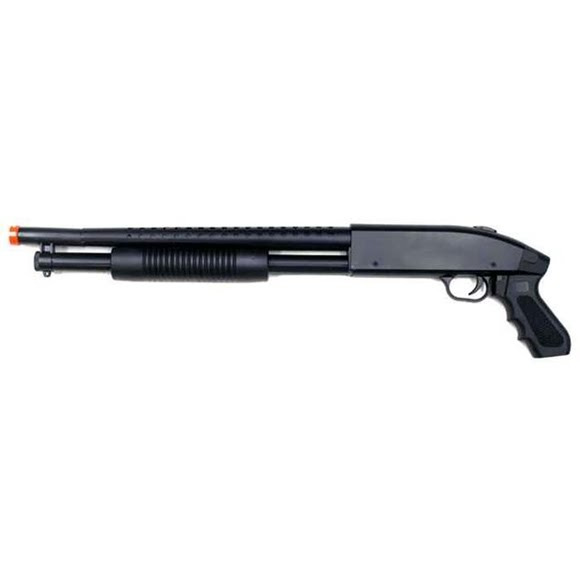 This airsoft gun features realistic pump action as well as a short pistol grip.